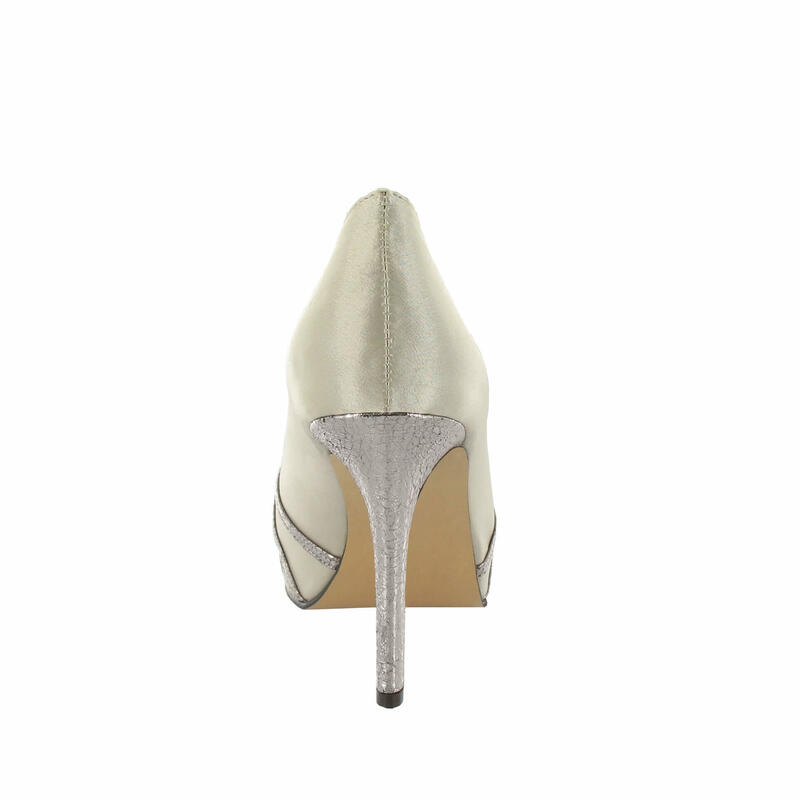 Ladies Fashion Platform Court Shoes for Evening and Occasional wear by LEXUS Designer Footwear. 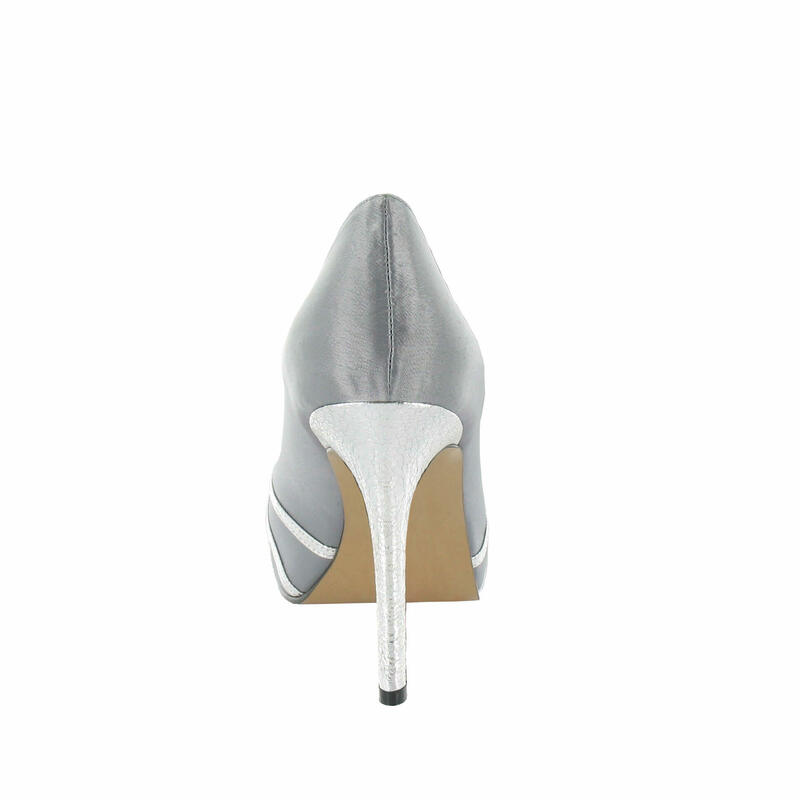 Gorgeous satin textile material shoes of the highest quality. 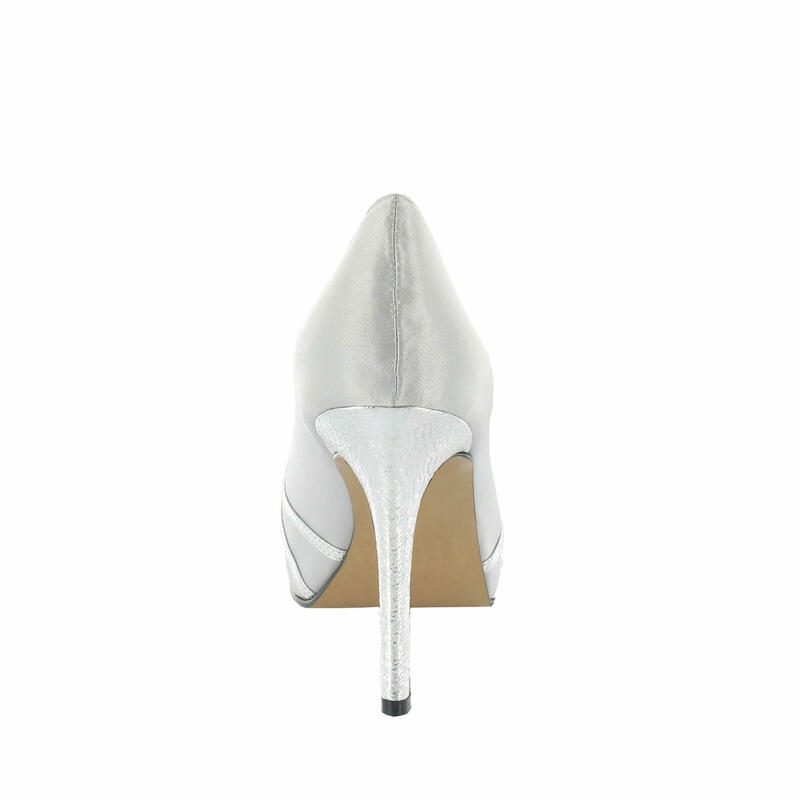 Beautiful High Heel Platform Court Shoes with Glitter-Like Material on the Front of the Shoes by the Beaded Trim and the on the Heel . Peeptoe and Padded In-Sock for added comfort. Perfect for all occasions.